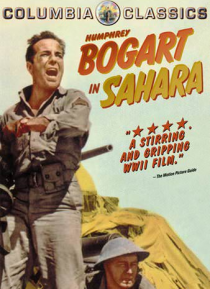 After the fall of the Libyan city of Tobruk, Sergeant Joe Gunn and his crew retreat in their tank across the Sahara. Along the way they pick up six Allied stragglers and Tambul, a Sudanese corporal and his Italian prisoner. Tambul directs the group to a desert fortress, where they hope to find desperately needed water. When the Germans attack, Gunn leads his desert-weary men in a desperate battle,… hoping that British reinforcements can arrive in time.